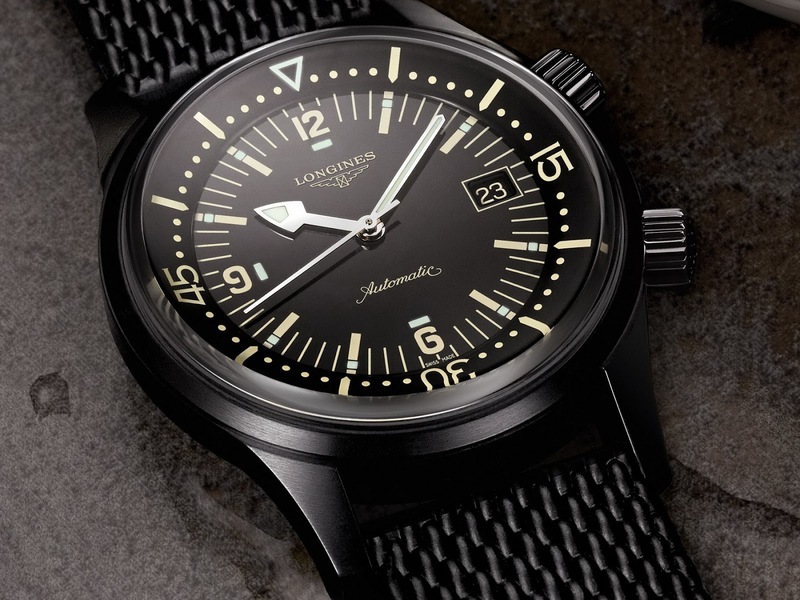 This is pretty damn cool – Longines have released a new black edition of their 1960s derived heritage dive watch, the Legend Diver and the good news is, it isn’t a limited edition, so you don’t have to panic about availability. 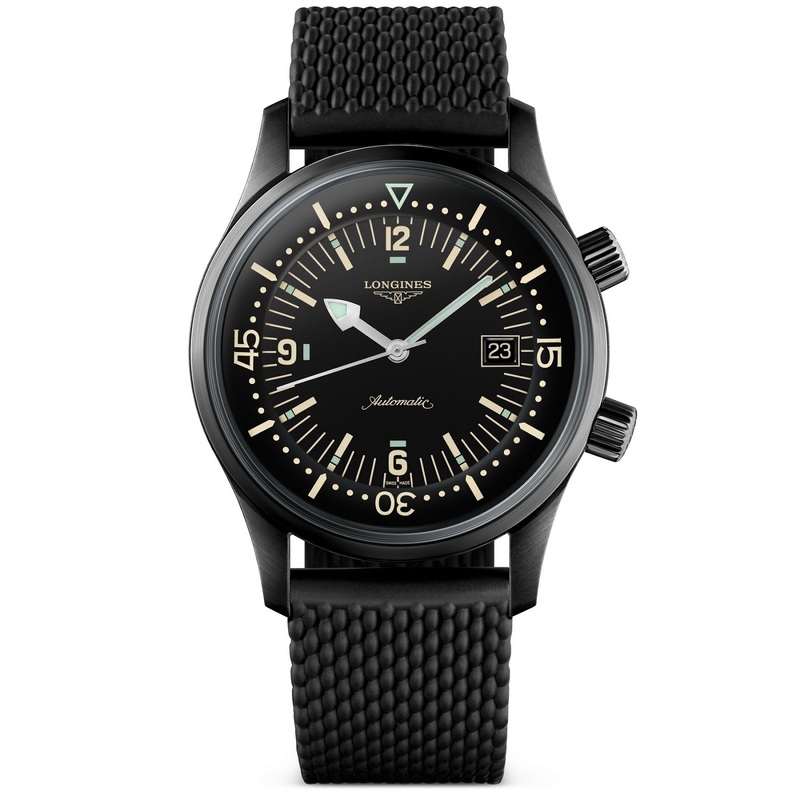 Longines have not too long ago celebrated the Legend Diver’s 10th Anniversary with the release of a special version with a Milanese mesh bracelet and a punchy new lume job – this is not a simply a black version of that watch. Firstly this Black Edition is powered Longines exclusive L888 caliber (damn, that’s lucky number) not the L633, but asides the obvious black exterior, the keen eyed of you will have noticed that for this model, the dial logo and text take on the same vintage color of the hour markers, date frame and date. 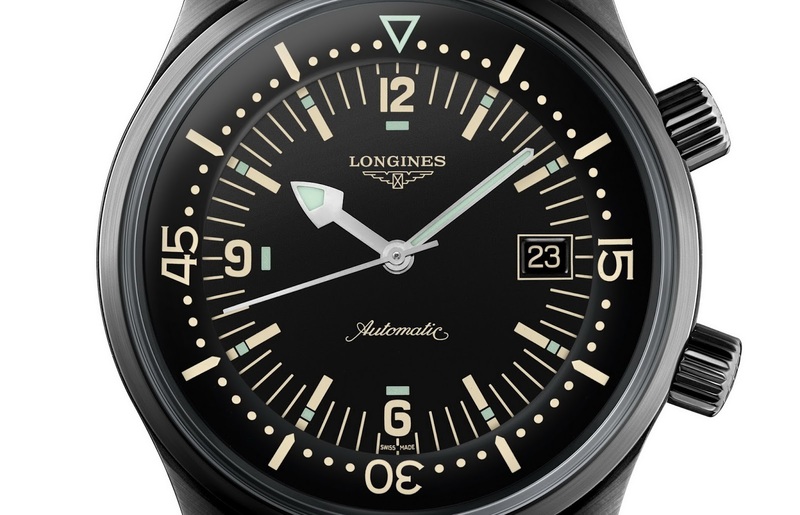 So a much stealthier and sleeker watch all-round. 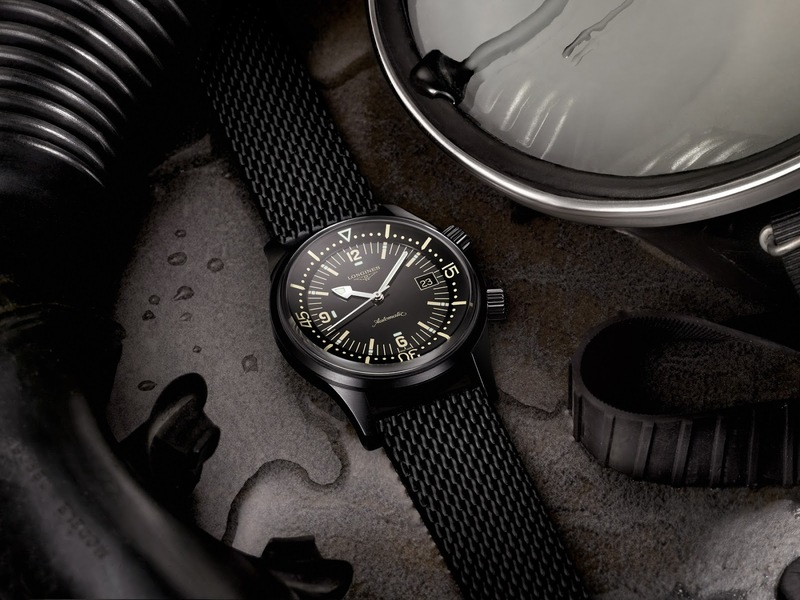 The black case treatment is PVD not DLC. Is this a missed opportunity? Perhaps, but PVD does hold up pretty well – just not nearly as well as DLC. 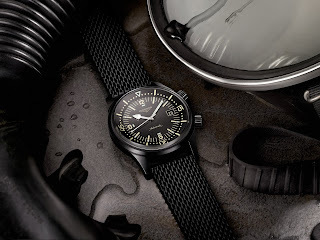 Finally, don’t let your eyes fool you – that isn’t a black PVD'd Stainless steel mesh bracelet – it's all manners of fakery dressed up in black rubber! 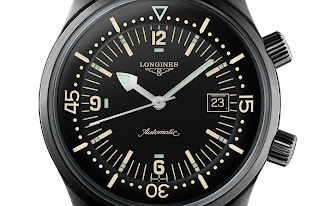 Why, Longines, would we want our rubber divers strap to look like steel – why would we want our mesh made of rubber – WTF! 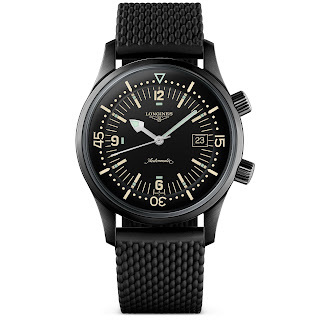 On a positive note, the rubber strap / mesh-bracelet abomination is accompanied by a lovely Titanium clasp with an integrated diver’s extension, but still, what were they thinking?! Thoughts? Imo this is fantastic diver ruined by a silly strap choice. Who knows maybe it's much better in person. What do you think, folks?